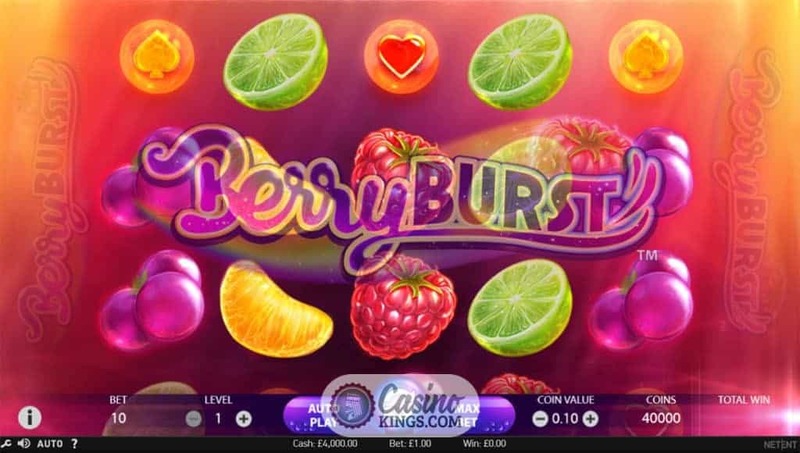 NetEnt returns to the much loved theme of spinning fruits for the introduction to its MAX slots series with its Berry Burst Slot. 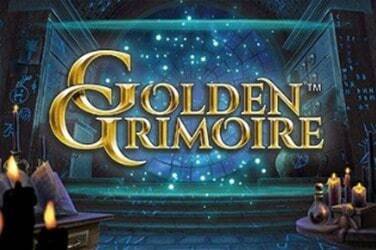 A five reel, three row Cluster Pays™ game that affords us shots at bagging prizes up to 3,000x our bet. 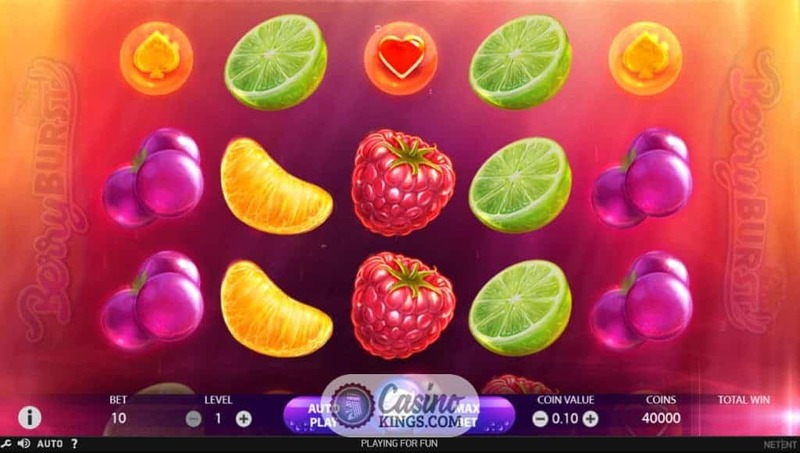 Fans of the Swedish studio’s Fruit Burst slot might be panicking thinking this enjoyable release is here to usurp its predecessor, but so different is the style and so lucrative are the payouts that this release proves NetEnt’s slots town is plenty big enough for these two fruity slots. 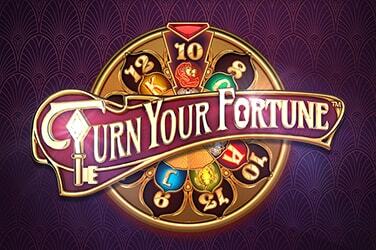 This slot might be called Berry Burst but it’s not just berries that flash around these five reels. Fruit fans of all kinds will be pleased to see Limes, Grapes, Orange segments and Raspberries as our high paying symbols, with coloured Diamonds, Spades and Hearts taking a back seat as our lower-payers. No room for Clubs in this time. Perhaps NetEnt thought they would squish the fruit. 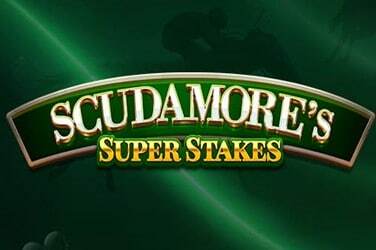 No matter, for they spin around the reels in delectable fashion and will have us salivating at the prospect of juicy wins when they form winning clusters in NetEnt’s Cluster Pays™ pay structure. 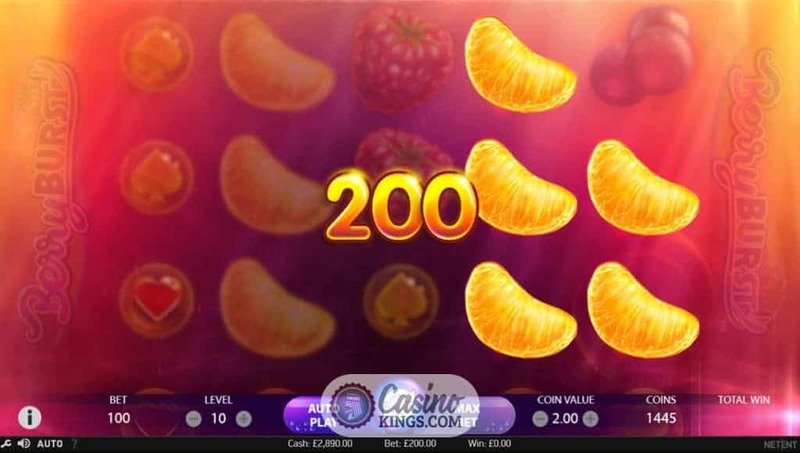 Any cluster of five symbols or more earns payouts according to the pay-table and, with a x5,000 coin payout awarded for landing full stacks of 15 Raspberries across the five reels, there is plenty on offer here to whet the driest of whistles. And all accompanied by a lilting steel drum Europop soundtrack that will have heads bobbing gamely as the reels spin. Juicy. The yellow Wild W symbol expands across the reel on which it lands when it forms part of a winning combo, thereby helping to create extra winning clusters as it goes. 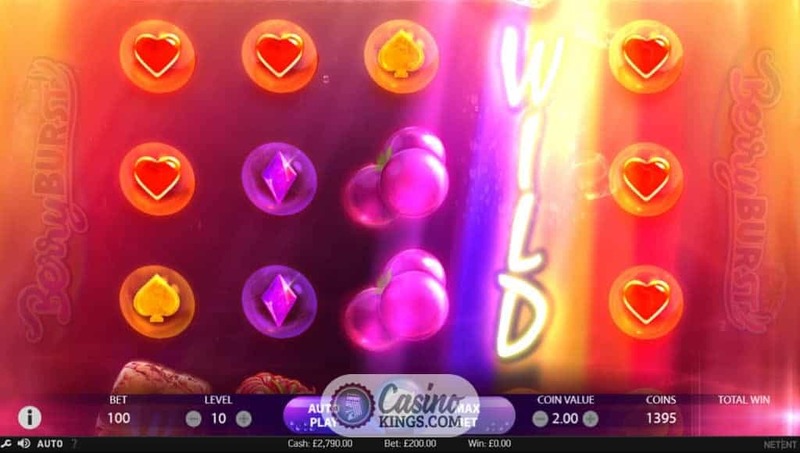 Landing the Expanding Wild also triggers a Re-Spin, so once all initial wins from the Wild are awarded the reels spin again and award additional wins. If we land another Wild during the Re-Spin, that Wild also expands to create additional wins and triggers another Re-spin. 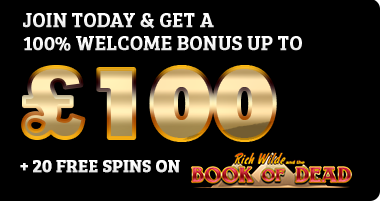 We can land multiple Wilds on any one spin, with Wilds appearing across all five reels. 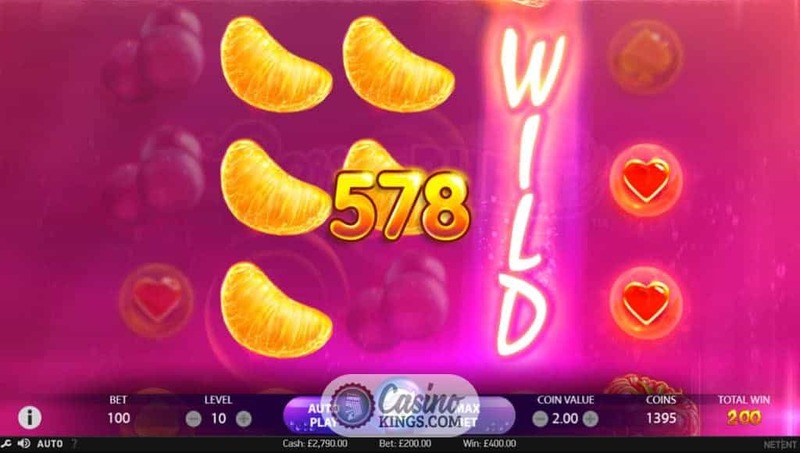 Landing five Wilds expands all Wilds across all five reels and awards the same payout as the top-paying Raspberry symbol – x5,000 coins. 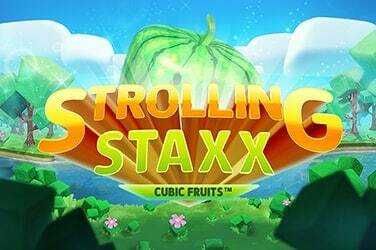 Try and stop your mouth from watering as these succulent symbols spin their way around these reels and into our gaming wallets. 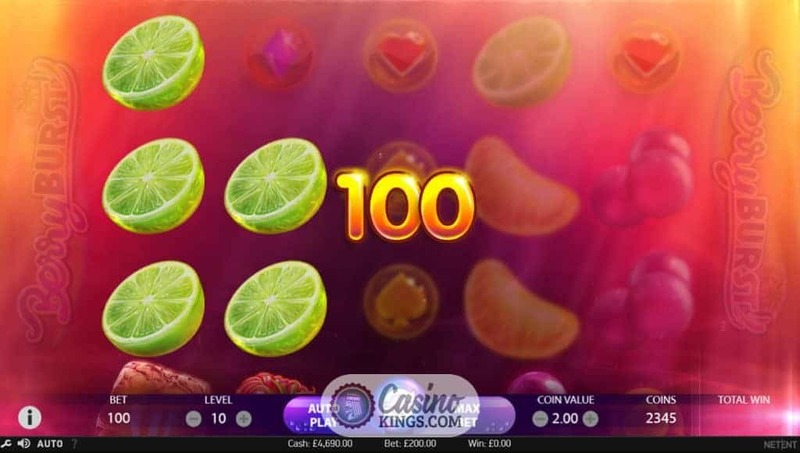 NetEnt’s Cluster Pays™ slots are unanimous hits, and the Berry Burst slot is a more than useful addition to the catalogue. 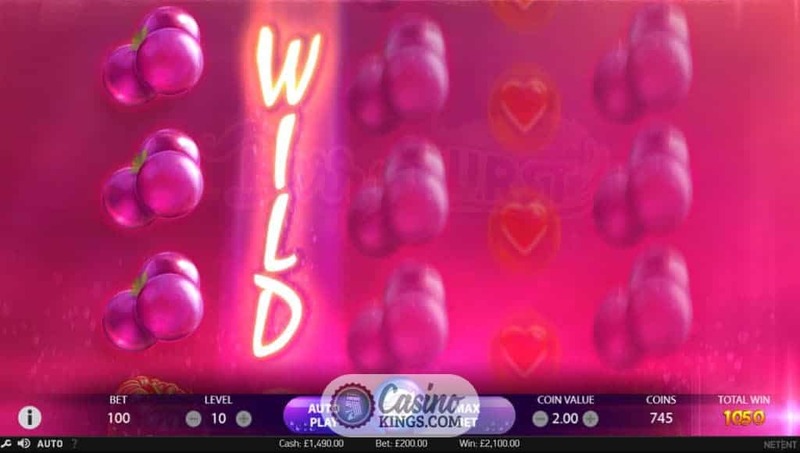 Bonus game junkies might not like the sound of a dedicated Free Spins feature, for example, but the readily occurring Expanding Wild and the Re-Spin it activates do plenty to make this a base game that bursts with wins as much as it does with berries.